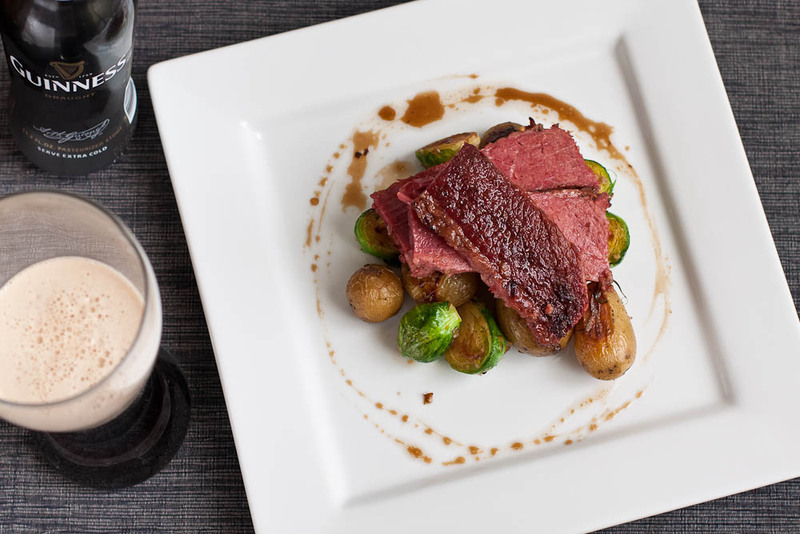 Dressing Up St. Patrick's Day: Guinness Corned Beef — Eat a Duck I Must! Being an immigrant from China, Jared's first memories of St. Patrick's Day were not of the parades or the 4 leaf clovers or creepy little leprechauns that guarded the pot of gold at the end of the rainbow, but it was a single t-shirt his mom bought him that said, "Kiss me, I'm Irish". It wasn't until years later that he understood English well enough to realize what the t-shirt really said. Poor guy, and all this time you can imagine a skinny little Chinese kid wearing a t-shirt proclaiming to be Irish probably got many haughty stares from strangers. Good thing he was completely unaware! So to celebrate this coming St. Patrick's Day, we first asked ourselves, "What's an obnoxiously Americanized St. Patrick's Day meal without corned beef and cabbage and most importantly a bottle of Guinness???" 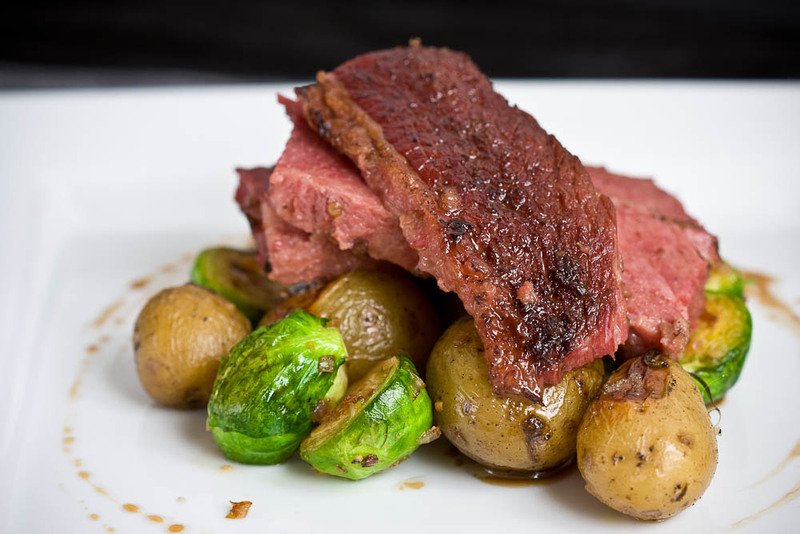 However this year, Jared decided to elevate the common way of boiling the corned beef, potatoes and cabbage in a single pot and braised the corned beef instead in a bath of Guinness with roasted potatoes and separately sauteed some delicious Brussels sprouts. 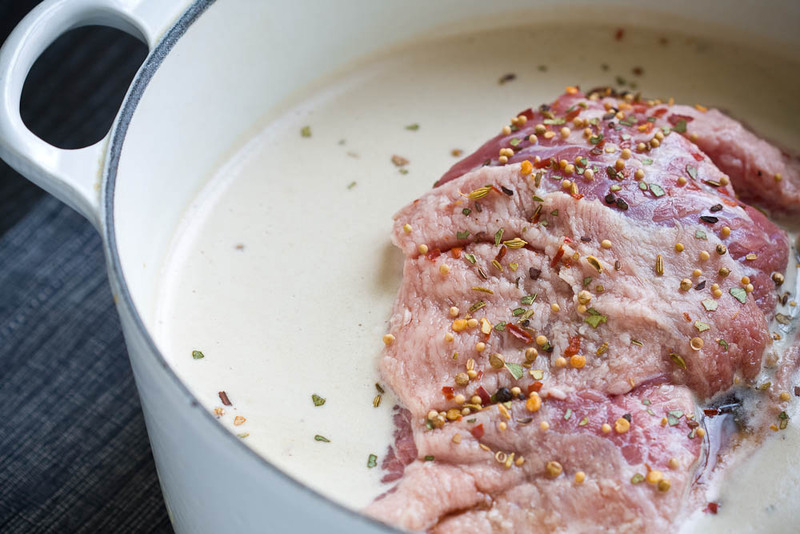 Braising the corned beef in Guinness fills your house with a sweet scent aroma. At first, I thought Jared was baking bread especially with all the yeast being boiled off from the beer. But then it slowly turned into a scent like Chinese five spice powder. Strange, no? And three hours later, the corned beef came out so beautifully, with the Guinness adding a nice herbal flavor and a bitter end note. The sweet glaze made from the braising liquid was a perfect compliment to offset the bitterness. Instead of cabbage, Brussels sprouts were used to add some crunch to the dish. 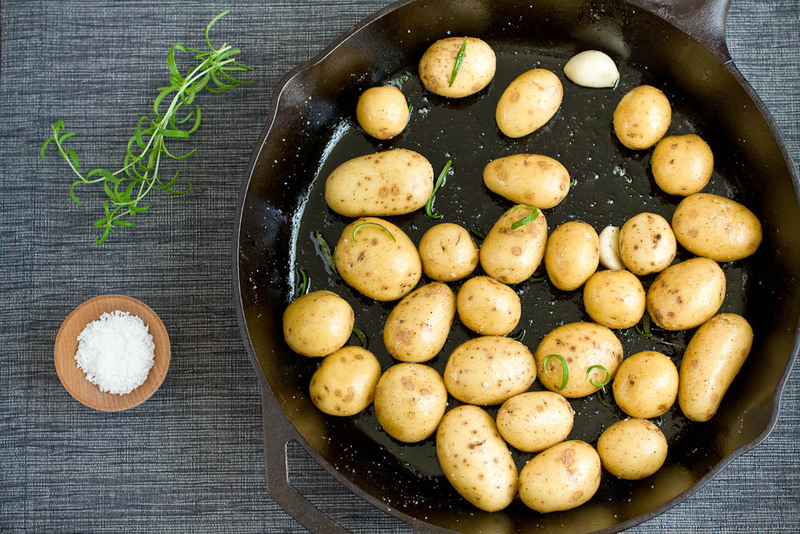 To assemble, place the creamer potatoes and Brussels sprouts on the bottom. Place the sliced corned beef over it and spoon some glaze over the meat. Then spoon some glaze and drizzle around the plate. Finally, pour a nice cold glass of Guiness and enjoy. 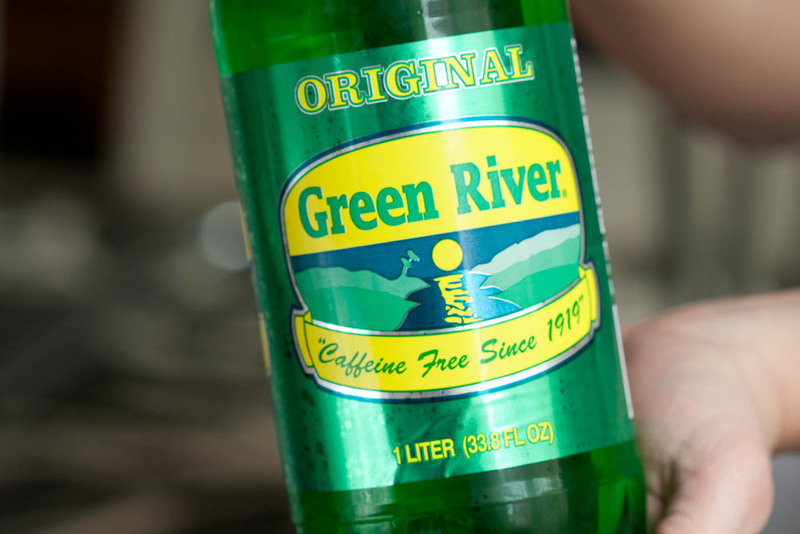 Anybody remember this green river soda? I remember this as a kid watching The Bozo show on WGN and they would give a 6-pack of this green river soda out on the first bucket win around St. Patrick's Day. As we walked around the grocery store, we couldn't help but pick up a bottle for nostalgia's sake. Now, if only we could find the original "Kiss Me, I'm Irish" t-shirt Jared wore as a kid, then we would be set.